Have almost converted the Makibox to become a fishtank. Fortunaly you have shown the nice cnc build made fro salvaged Makibox parts. Would you be nice to sho much more. The most urgent question, what makes a decently working nut replacing the badly made driveblocks? My z-axis block seems to work so la la. But have always to find the spot between moving and wiggling, as Bueford asked for. What kind of nuts with slashback compensation can be used on the spindles? Had received mine on the x-y-axles defective from HK. 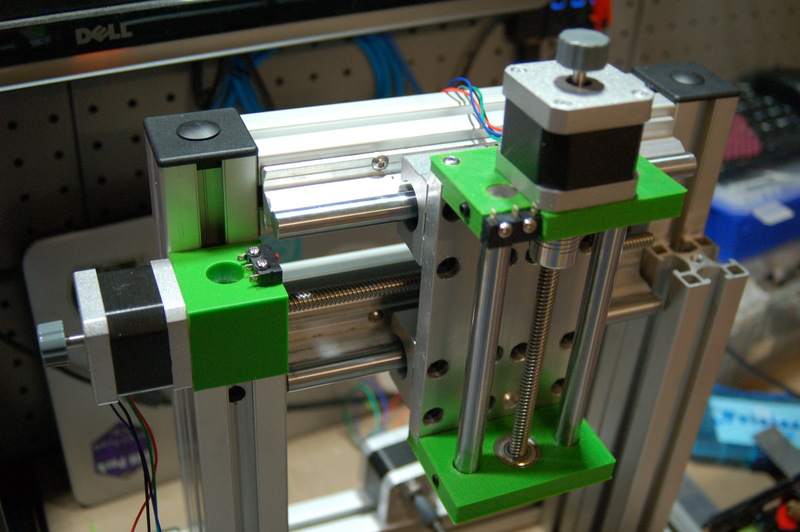 Have plans to make a cnc inspired by the Wegstr CNC frame using simple plastic sliders on rectangled bars. The first model on Tinkercad. w.o. the z-axis. Will avoid having a frame made from extrusions. Its a mess to make everything upright and square. Goodluck with the MB left overs. Thanks for the comment, Thomas! I'm using these anti-backlash nuts on all axis: https://www.aliexpress.com/item/Anti-backlash-Nut-for-TR8X2-TR8X4-TR8X8-Leadscrew-8mm/32800111611.html - they seem ok, but I guess I will know more once I start chipping. You are right about extrusion making squaring difficult - I'm still trying to work out exactly how I will do that. But, at the end of the day, that was all I could reliably work with in my home workshop. I'd love to see how you go with your design!